In the last century, tiger populations have declined by 95% and that of African lions by 40% in only twenty years, to give two examples. In addition to tigers and lions, among the big cats, there are leopards, jaguars, cheetahs and pumps. Everywhere, the reasons why these majestic animals face so many difficulties (of the 36 species of felines that are in the world, half are in danger according to IUCN) derive from the confrontation with the human being. The main causes are poaching (often to avoid attacks on livestock), the loss and fragmentation of the habitat and trade of live animals, or parts of their bodies. 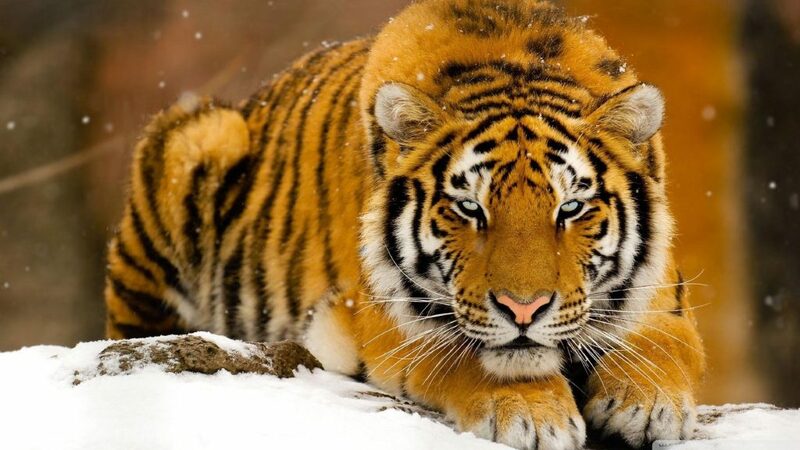 Since the 1940s three tiger subspecies have been hunted until extinction: the Tiger of the Caspian (Panthera tigris virgata), Bali (Panthera tigris balica) and Java (Panthera tigris sondaica). Your Donation is essential to protect natural spaces and endangered species in the world. By supporting WORLD NATURE you contribute to address the most important problems of conservation of nature in our Planet. You will receive the Newsletter for free at your e-mail with all the information on our work for Nature. Where do you allocate your Donation, your Contribution? 100% of your donation is allocated to conservation projects of endangered species or endangered natural areas. Your Donation, however small it may seem, is very important. We help you in a direct way to conserving natural spaces and endangered species. Acceptance of any contribution, gift or grant is at the discretion of the WN INTERNATIONAL. The WN INTERNATIONAL will not accept any gift unless it can be used or expended consistently with the purpose and mission of the WN INTERNATIONAL. The WN INTERNATIONAL will refrain from providing advice about the tax or other treatment of gifts and will encourage donors to seek guidance from their own professional advisers to assist them in the process of making their donation. The WN INTERNATIONAL will accept donations of cash or publicly traded securities. Gifts of in-kind services will be accepted at the discretion of the WN INTERNATIONAL. Certain other gifts, real property, personal property, in-kind gifts, non-liquid securities, and contributions whose sources are not transparent or whose use is restricted in some manner, must be reviewed prior to acceptance due to the special obligations raised or liabilities they may pose for WN INTERNATIONAL. The WN INTERNATIONAL will provide acknowledgments to donors meeting tax requirements for property received by the charity as a gift. However, except for gifts of cash and publicly traded securities, no value shall be ascribed to any receipt or other form of substantiation of a gift received by WN INTERNATIONAL. The WN INTERNATIONAL will respect the intent of the donor relating to gifts for restricted purposes and those relating to the desire to remain anonymous. With respect to anonymous gifts, the WN INTERNATIONAL will restrict information about the donor to only those staff members with a need to know. The WN INTERNATIONAL will not compensate, whether through commissions, finders' fees, or other means, any third party for directing a gift or a donor to the WN INTERNATIONAL. © All rights reserved WORLD NATURE FOUNDATION 2019.